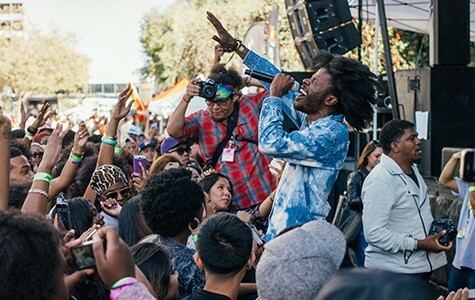 Now in its third year, Oakland Music Festival has grown into a dynamic platform for homegrown music, arts, and culture. 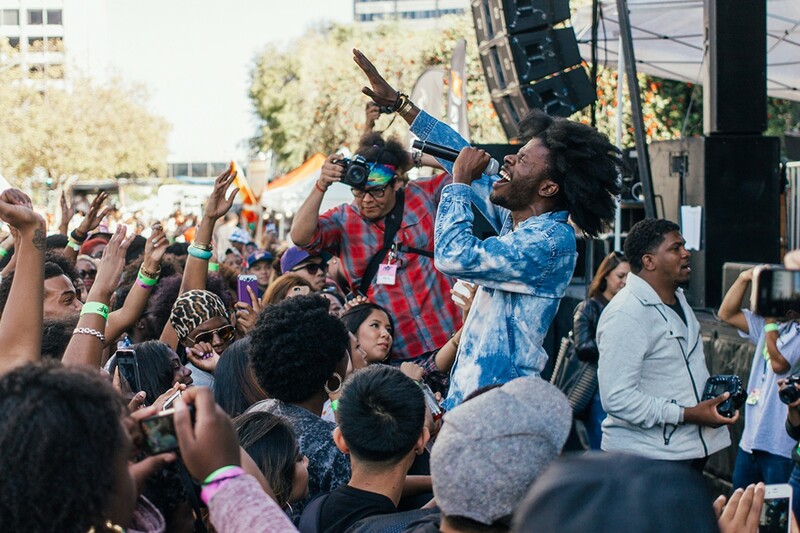 Singer Jesse Boykins III performed at Oakland Music Festival last year. Oakland Music Festival takes place on Sept. 26, noon to 9 p.m. 22nd and Franklin Sts. $20–$65. OaklandMusicFestival.com. Oakland native and entrepreneur Alfonso Dominquez spends a great deal of time thinking about how to keep Oakland's cultural capital from leaving the city. A founder of Oakland Music Festival, he is also the co-owner of several well regarded local businesses — including the swanky Era Art Bar and Lounge and Mexican restaurant Tamarindo Antojeria. In addition, he's a co-founder of Popuphood, an entrepreneurship incubator that places up-and-coming small businesses in vacant storefronts. Oakland Music Festival, however, is Dominguez' passion — and his riskiest project. In 2013, its first year, the festival didn't turn a profit and his original business partners dropped out. Undaunted, Dominguez stuck with the enterprise and partnered with publicist Hunter Marshall. The two of them now run the event with the help of a small team. Since its inception, OMF has expanded to span several blocks in Uptown and multiple venues. Taking place on September 26, this year's edition features an eclectic mix of East Bay acts, including Los Rakas, the bilingual hip-hop duo headlining the fest, as well as Shmoplife rapper Kool John and environmentalist pop quartet Trails and Ways. Buzz-worthy up-and-comers from other cities also top the bill, including East Coast future bounce purveyor GoldLink and LA singer and producer Anderson .Paak, who recently gained renown for his multiple features on Dr. Dre's final album, Compton. While last year's iteration focused almost exclusively on music, this Saturday, OMF promises to bring an audiovisual experience to Oakland's streets. The event will feature interactive installations and live mural painting. Local artists will trick out the festival's five stages — which will be located around the intersection of 22nd and Franklin streets, as well as inside Clubs 21 and BNB — with custom set designs. OMF's emphasis on East Bay talent sets it apart from other local festivals. Treasure Island and Outside Lands, for instance, hardly book any Bay Area acts and feature many of the same headliners as other similar events around the country. OMF, on the other hand, has managed to book a majority-local lineup every year. However, one of the biggest challenges for the organizers has been to maintain OMF's local appeal and affordability as the event continues to grow. Though Dominguez' goal is to expand the festival into a national attraction as widely attended as Austin's South by Southwest or Art Basel Miami Beach, he is wary of the homogeneous, corporate feel of mainstream music and arts festivals and is determined to keep OMF a platform primarily for Oakland talent. With its roster of East Bay performers, vendors, artists, and sponsors, OMF certainly appeals to Oaklanders' love for all things made in their backyard. Dominguez explained in an interview that this is part of his overarching endeavor to stimulate the local economy through various retail and entertainment ventures. "This is a social enterprise: You can do profit and do good at the same time," he said. "How do we sustain and foster Oakland's cultural authenticity? That's our vision." Last year, however, critics (including me, in my review for the Express) pointed out that although the festival featured many strong East Bay acts in its early time slots, it was devoid of Oakland headliners — which seemed like a major oversight considering OMF's purportedly hyper-local focus. In our conversation, Dominguez contended that because of the Bay Area's well-documented lack of music industry infrastructure, there was a limited pool of potential local headliners that could sell enough tickets to cover the festival's costs. With Los Rakas and Kool John among OMF's biggest acts this year, however, Dominguez has demonstrated his commitment to keeping the festival East Bay-centric even as it expands its scope. Other must-see local performers at this year's event include rapper L-Deez, who rhymes with a gravelly, hyphy-infected flow over bare-bones drum beats that evoke late-Eighties party rap. Also, make sure to catch Noodles, a DJ who works closely with rising Oakland singer Kehlani, as well as up-and-coming rappers Duckwrth (whom we featured on the cover of our September 2 issue) and Caleborate. Both skillfully combine personal confessions with poignant cultural observations in their lyrics, and are known for energetic live shows. Also not to be missed are Oakland Faders, a DJ collective that has been championing the East Bay's underground hip-hop scene for nearly two decades, and Devi Genuone, an Oakland songstress who infuses her electro pop tunes with elements of jazz and soul. Booking lesser-known, but promising local acts alongside nationally recognized performers is part of Dominguez' strategy — not only to generate ticket sales, but to expose festivalgoers to local talent they may not have previously heard. "For instance, people came to see [headliner] Dom Kennedy last year but they didn't know about [local rapper] Queens D.Light," he said. "So that cross-pollination is really important and something we strive for." Dominguez' ultimate goal, he explained, is to create more platforms for Oakland musicians so that living and working here can be sustainable. In addition to an annual festival, OMF has become something of a promotional outfit. Dominguez and his team regularly throw shows throughout the year and have several events in the works, including a music industry speaker panel that will involve local creative professionals and members of city government. The acronym OMF, Dominguez said, also symbolizes Oakland Moving Forward — a mantra that defines his approach to his many entrepreneurial projects. "We want to retain the industry here, and that is our goal," he said. "I hear [artists] say all the time, 'There's no way to make money here, I gotta move to LA or New York.' How can we do something about that? We have to make sure artists get paid, designers get paid, and venues and recording studios get supported."